Michigan has an extensive aviation community, including private planes, cargo planes, mail planes, commercial aircraft, sea planes, and recreational aircraft. As a result, there are numerous airplanes in the skies over Michigan on any given day. Thanks to the high level of discipline and training required to obtain a pilot’s license, the high maintenance standards mandated by the FAA, and ever-improving technology in aeronautics, traveling by airplane is one of the safest forms of transportation in the United States per miles traveled. Unfortunately, however, airplane pilots and their passengers are not immune to error, and, as a result, disastrous situations involving injury or death to innocent people do occur. Because of the tremendous forces involved in airplane crashes, survivors often suffer catastrophic injury, including traumatic brain injury, spinal cord injury, amputation, and severe burn injuries. Any airplane accident, whether it involves a private or commercial airplane, requires immediate and thorough investigation. Typically, this will involve investigators from the FAA. Even though the government usually investigates most airplane crashes thoroughly, the families of those sustaining injury or death should promptly seek competent legal advice from attorneys experienced in this area of the law. The attorneys of the Sinas Dramis Law Firm have the experience you need to protect your rights and get the compensation you deserve. Understanding your rights when you or a loved one has been involved in an airplane accident is the first step. 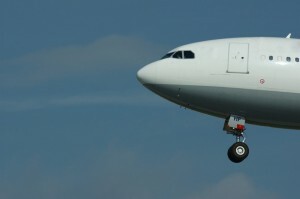 In this section, we help you to know the law regarding airplane accident claims.